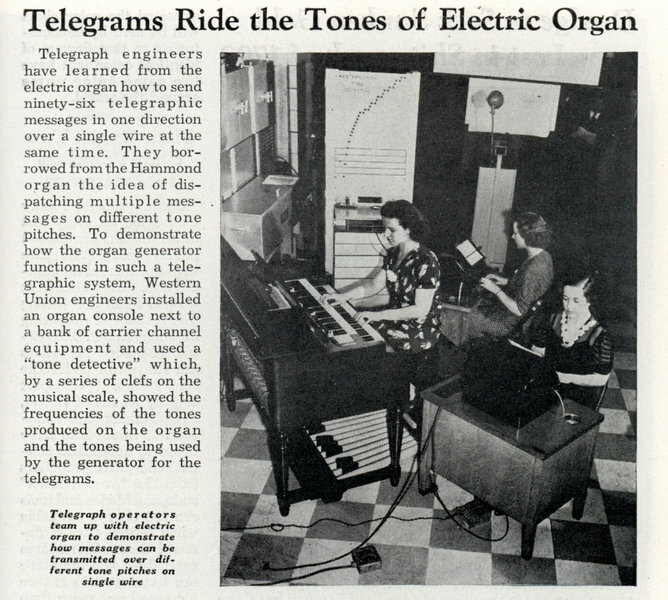 Telegraph engineers have learned from the electric organ how to send ninety-six telegraphic messages in one direction over a single wire at the same time. They borrowed from the Hammond organ the idea of dispatching multiple messages on different tone pitches. 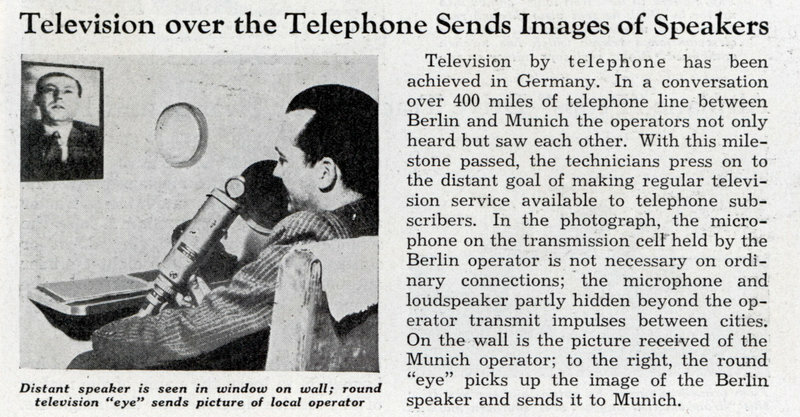 Television by telephone has been achieved in Germany. In a conversation over 400 miles of telephone line between Berlin and Munich the operators not only heard but saw each other. 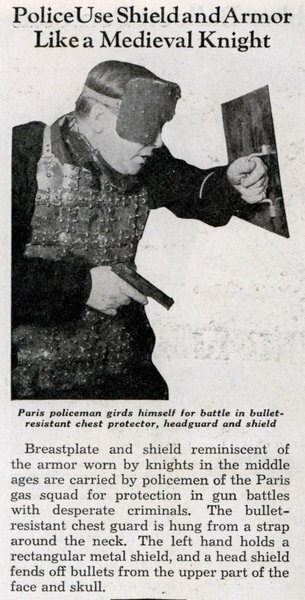 With this milestone passed, the technicians press on to the distant goal of making regular television service available to telephone subscribers. WORK is mere play for the research engineers. At least, that's how any small boy would look at it if he saw these grown men tinkering with toy trains and planes, boats and automobiles, electric motors and compression engines. 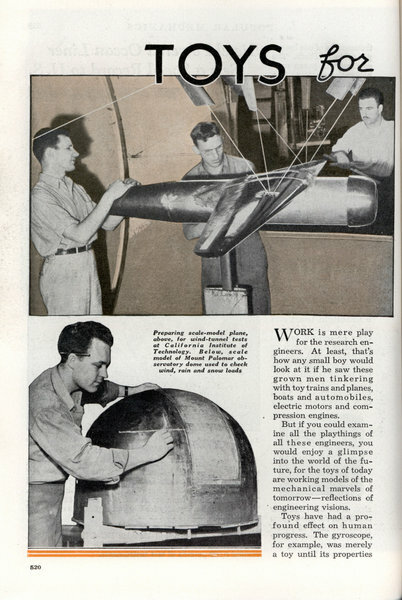 But if you could examine all the playthings of all these engineers, you would enjoy a glimpse into the world of the future, for the toys of today are working models of the mechanical marvels of tomorrowâ€”reflections of engineering visions. 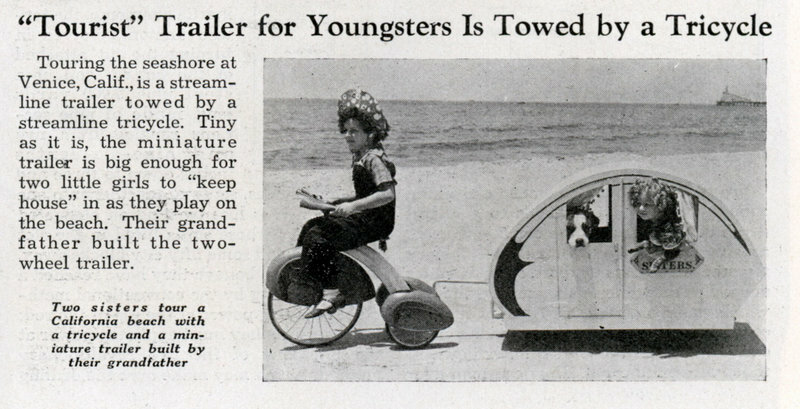 Toys have had a profound effect on human progress. 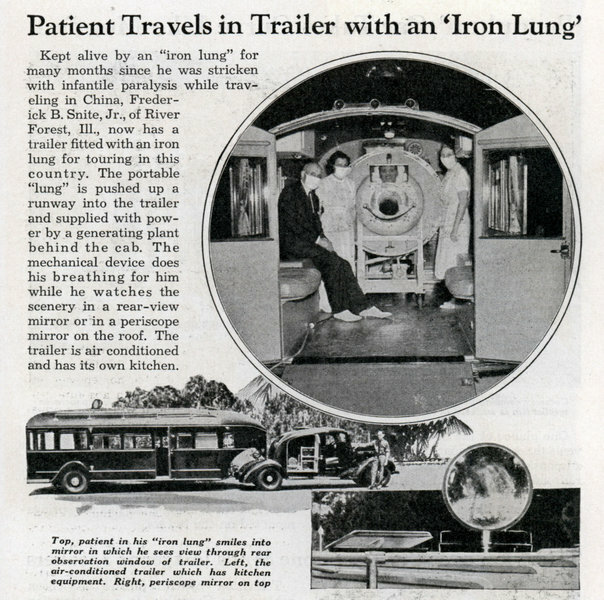 The gyroscope, for example, was merely a toy until its properties were applied. 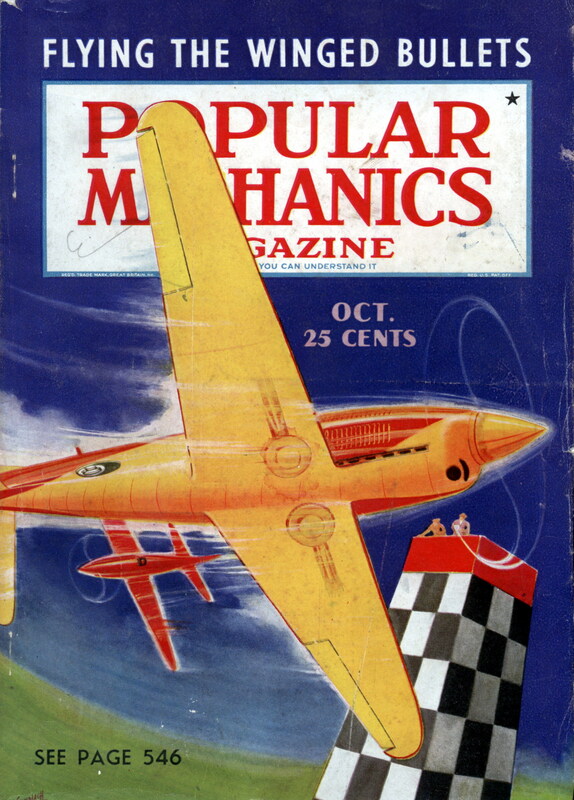 Then it grew up to fly airplanes and steer ocean liners. 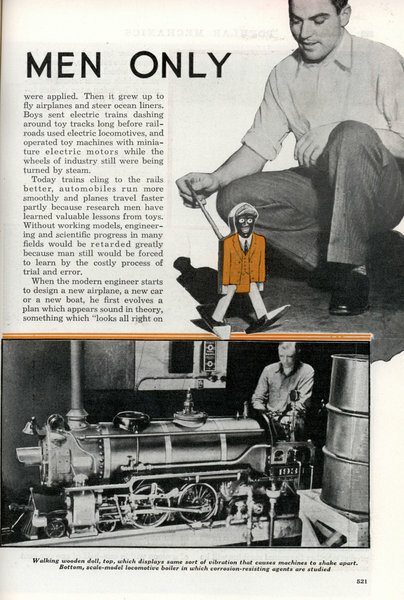 Boys sent electric trains dashing around toy tracks long before railroads used electric locomotives, and operated toy machines with miniature electric motors while the wheels of industry still were being turned by steam. 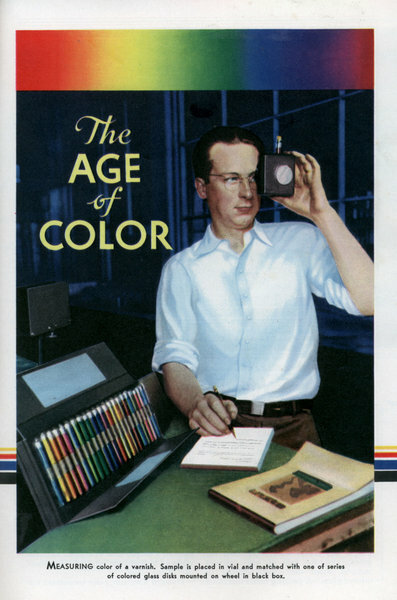 THE world is spending millions for color today and, as a result, is rapidly changing from a dull, drab sphere into a gay and cheerful place garbed in all the hues of the rainbow. America alone is using about $50,000,000 worth of dyes a year. These dye-stuffs sell, or help to sell, six or seven billion dollars' worth of merchandise annually because, to a great extent, we buy what pleases the eye. 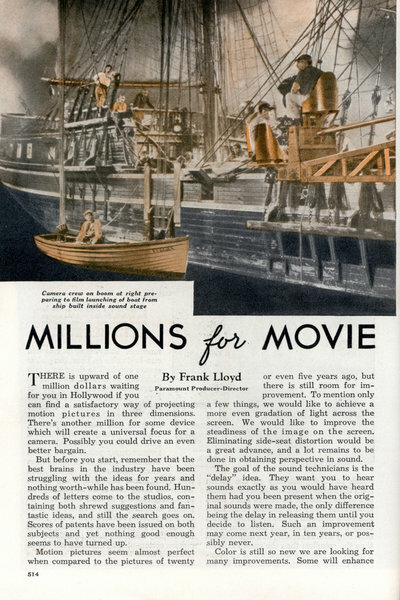 By Frank Lloyd Paramount Producer-Director THERE is upward of one million dollars waiting for you in Hollywood if you can find a satisfactory way of projecting motion pictures in three dimensions. 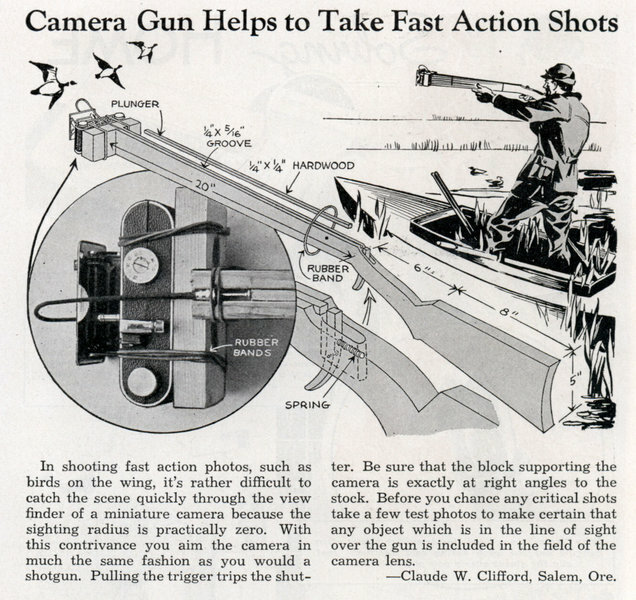 There's another million for some device which will create a universal focus for a camera. Possibly you could drive an even better bargain. But before you start, remember that the best brains in the industry have been struggling with the ideas for years and nothing worth-while has been found. Hundreds of letters come to the studios, containing both shrewd suggestions and fantastic ideas, and still the search goes on. Scores of patents have been issued on both subjects and yet nothing good enough seems to have turned up.